Watch this eye-opening demo of the most powerful software ever that lets you easily generate free targeted traffic and send it anywhere you want... to your own product, to affiliate and CPA offers, or to clients who pay you $1,000+ a month for your services. 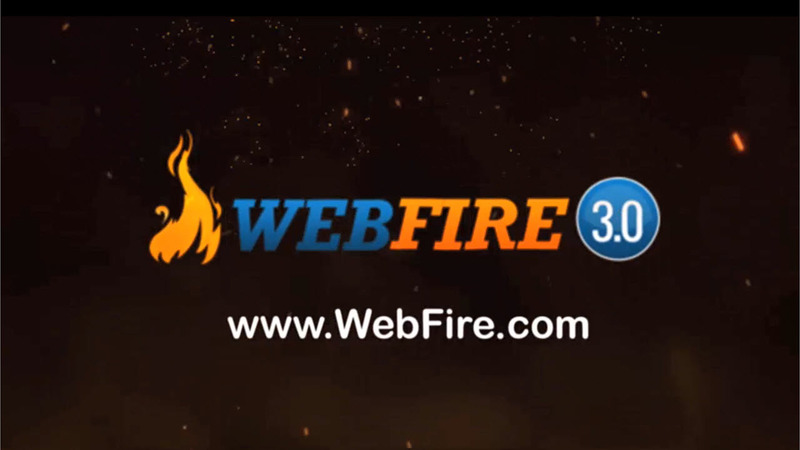 Click Here Now For The Special Webinar Only Deal... Get Nearly 70% Off the Brand New WebFire 3.0 Plus Receive Your Free Upgrade to WebFire Pro Membership and Get Locked In At Your Rate! Judi J. not only uses WebFire to keep her wine tour business, and her wine tour franchising company at the top of Google, she uses WebFire in her side business to generate free traffic for her affiliate websites that now average over $7,000 a week. Will Sims started from scratch in the weight loss niche. Within the first week, he was ranked on page 1 of Google for his first target keyword and getting free traffic to his site. In 1 hour Tom Martin analyzed a client's site and fixed the problems using WebFire. Within 1 day, that site shot up to page 1 of Google for the client's search term. His fee was 1,000 pounds (about $1,600). Bill Dermody took his Tennis Shop from no top rankings to dominating the top 3 slots on page 1 of Google for all his top keywords in 3 weeks. His Adwords rep even told him to stop buying ads! Derek Kemp: "It put one of my clients on page one of Google in just a few minutes after he updated the site to what WebFire said needed doing. The very next day it took my site from page two of Google for Make Money from Home to the top of page one." Mary H - a luxury homebuilder and remodeler - had a beautiful website, but couldn't even get found when you searched her name. Within one month of us using WebFire’s tools and tactics, her site has page 1 ranks for 96 highly relevant keywords, many dominating the very top of Google. Plus, she got her first ever online lead for a new home with a $150,000+ profit for her. *These results are unique. Your results will vary. © WebFire, LLC 2019 All rights reserved. clients have used to get millions of free visitors, millions of free leads, and millions of dollars. The course is 100% Free. Just enter your email address below and click "Give Me Free Traffic Secrets".